Woke up this morning in a rut? Spent the last few weeks feeling like "blah?" If this sounds like you, please know that you are not alone. From time to time, I find myself looking for new ways to pull myself out of a funk. And though I haven't found a way of "getting to happy" in an instant, I have found a few ways to make myself feel better with little to no effort. 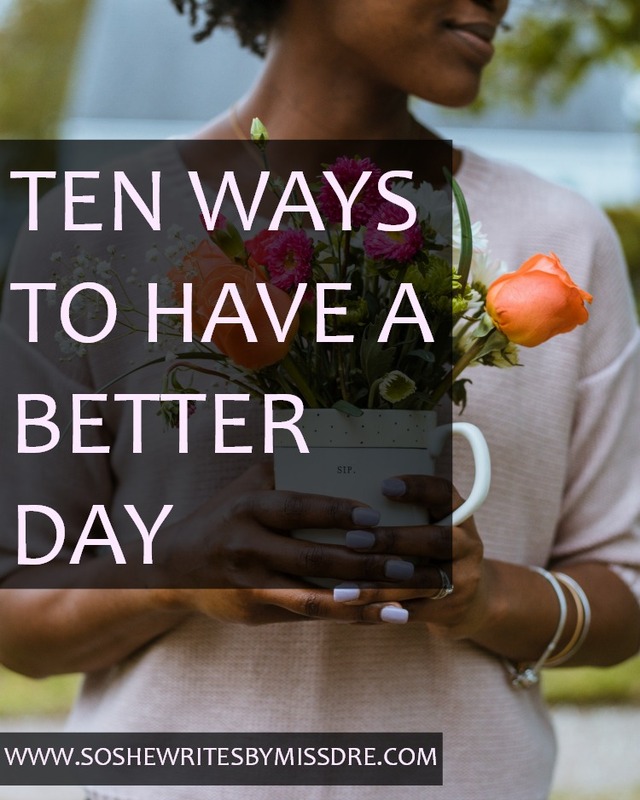 Continue reading after the jump to check out ten ways I find happiness throughout my day. 1. Have your morning coffee with cartoons. The bright colors in cartoons stimulate the mind, often evoke warm feelings, and can even take one back to the simpler years of childhood. Watching Little Einsteins and Yo Gabba Gabba! in the morning with the little ones as we start our day always seems to alert the senses! 2. Dance like no one's watching. Have any songs on your music playlist that make you want to dance? Then why not have at it! There's nothing better to get you going than moving your body to the beat. Moves like Jagger, anyone? How about Groove is in The Heart? 3. Imagine the R&B crooner on the radio is singing that love ballad to you. I am always delightfully flattered when I imagine that D'Angelo had me in mind when singing "Me And Those Dreamin' Eyes of Mine" or that Luke James wrote "I Want You" specifically for me. Hey, a girl can dream can't she? 4. Pretend you're someone else. Perhaps it's one of those days when you and one of your co-workers aren't seeing eye to eye. Maybe your boss is coming down hard on you. Or your clients are making you wish you could make a bee-line for the car and never return. If you can't find it within you to handle the situation in a stress-free way, channel your inner hero[ine]. Think to yourself, "How would Olivia Pope react to this?" and act accordingly. This may give you a boost of courage or clarity you didn't even realize you possessed! 5. Walk like someone's watching. Enter a room with confidence. Walk with your head held high, taking long strides. And if that doesn't help, imagine that the love of your life is watching you walk away. That should put some "pep" in your step as you move throughout the day. 6. Admire your smile in the mirror and carry it with you for the rest of the day. Even if it takes a few tries for you to believe it, turn your frown upside down in the mirror and fall in love with the view. Seeing yourself with such a beautiful smile on your face may prompt you to wear it all the time! 7. Have a hearty laugh. Watch a funny video on YouTube in your spare time. Catch an episode of Martin or check out summer re-runs of The Goldbergs if you love revisiting the 80s and the 90s like I do. Laughter releases endorphins, which control feelings of stress and create feelings of pleasure. Couldn't you use both? 8. Anonymously do something nice for someone else. Place a sticky-note on a public restroom mirror that reads "you are beautiful" (see Operation Beautiful). You never know who may need to see these words. Or if you have extra money, pay for someone else's meal when you head out for lunch. Doing something nice for someone will surely brighten his or her day as well as yours. 9. Take the scenic route home. Life always looks different when we observe it from a different perspective and in another view. So why not start by looking at life's beautiful landscape instead of complaining about high gas prices? And as an added bonus, you even get to avoid that evening traffic! 10. Send Negative Nancy to voice mail. This one is self-explanatory. Sometimes you must preserve your positivity by dismissing the negative. Besides, Negative Nancy will be there tomorrow with something new to complain about anyways. Why waste time today being drained by her pessimistic outlook on life? 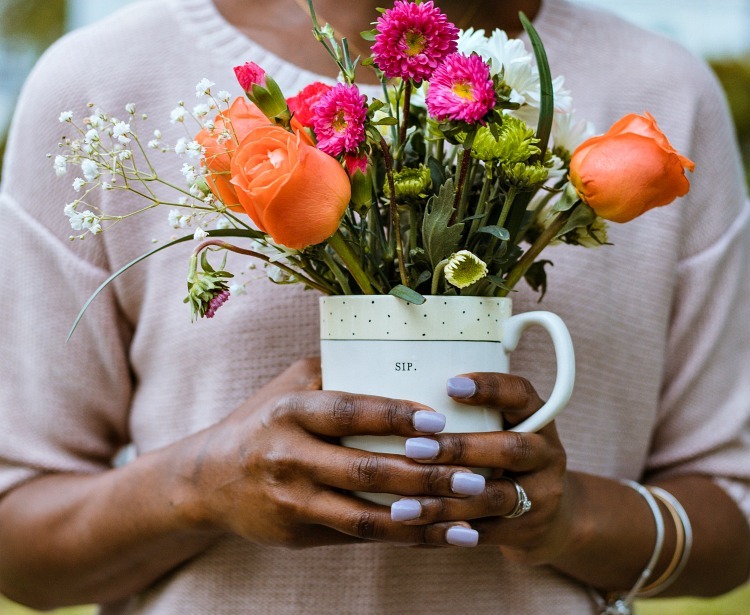 What do you do to make your day brighter?